I think I was born to travel. My first trip (aside from the one through the birth canal) happened when I was only five days old. I flew on a plane from South Carolina, where I was born, to Nebraska to meet my grandma. I haven’t really stopped traveling since. I was just five days old when I took my first plane ride from South Carolina where I was born to Nebraska to meet my grandma. My mom had me when she was 24. She was single and working full time as a sports writer for a newspaper in the south and it was just the two of us until she married Steve when I was 16. And while we didn’t necessarily have a lot when I was growing up, she always made sure I knew about the world around me. She made it a priority for us to travel, and over the years I learned so many important lessons through our journeys together. I’m 22 now and just so you know, I’m not big on blogging. 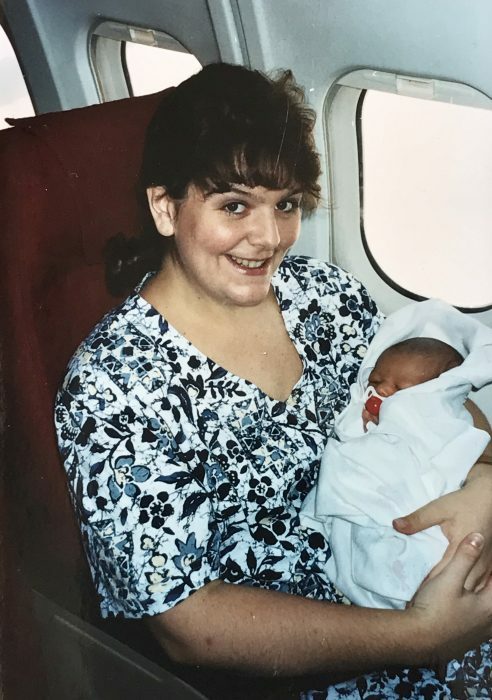 But as I thought about it, the lessons I’ve learned traveling with my mom have made me the woman I am today, and I just wanted to share those lessons with all of you. I’ve tried a lot of things for the first time while traveling with my mom. I rode in the back of a Jeep to the top of a butte at Fort Robinson, ate vegetable curry with my hands in Sri Lanka, and drove a car through a buffalo refuge not long after I had gotten my driving permit. You have to understand, I am not a natural risk-taker and trying new things often took a lot of encouragement and an occasional bribe. 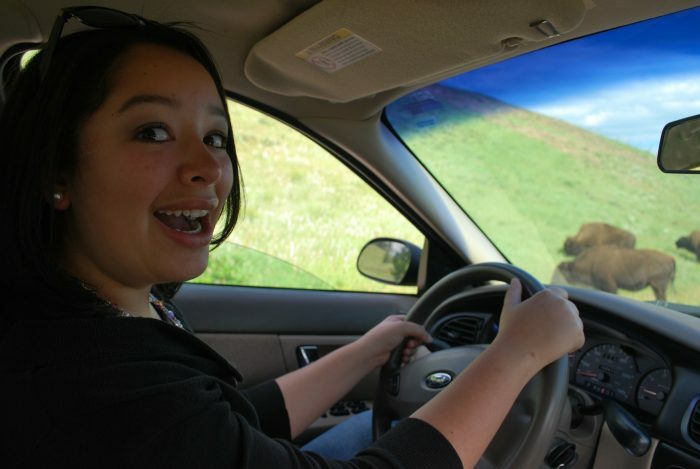 Just after getting my learner’s permit, my mom made me drive through herds of buffalo in Custer State Park in South Dakota. Because of my mom’s encouraging words threatening voice, I have tried a lot of new things I probably never would have done otherwise. I have butchered a chicken and cooked it for dinner, repelled down a cliff (it was actually a small hill, but still), and sang karaoke to Demi Lovato’s Skyscraper one night on a cruise ship in front of complete strangers. 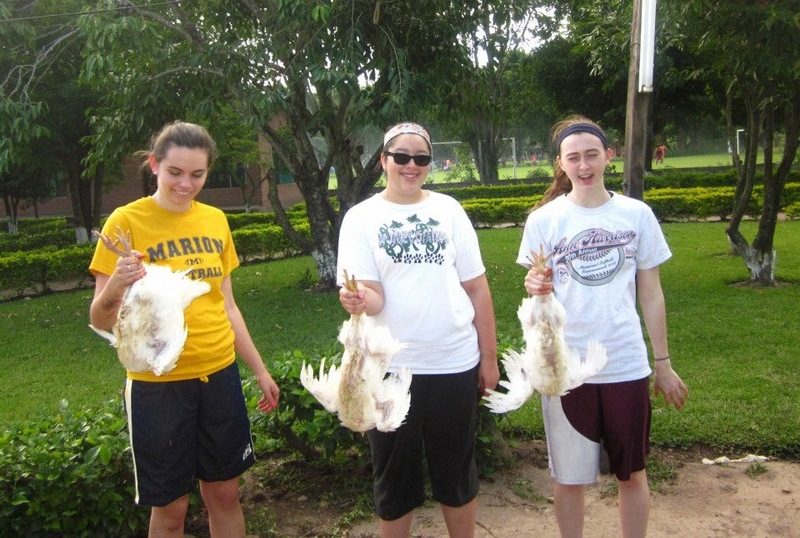 While in college at Southwest Baptist University, I spent time in Bolivia on a mission trip where we helped butcher chickens. This was a first for me. Looking back, I’m so glad to have had so many new experiences — with one exception. Horseback riding. 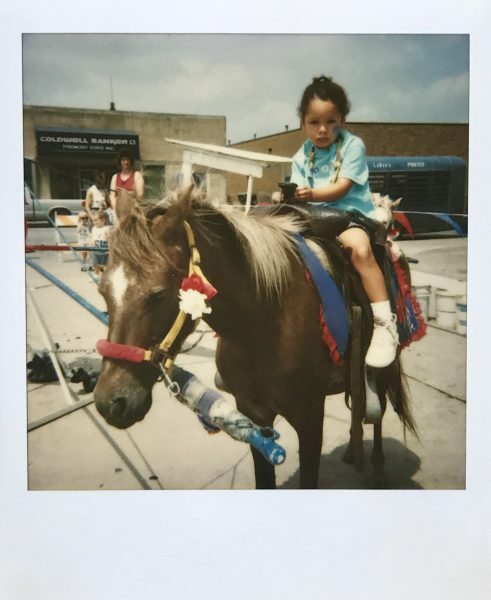 When I was little, my great grandmother put me on a pony at a festival and I was forced to go round and round on an animal I clearly feared. I don’t really remember the experience, likely because I was so traumatized by the whole ordeal and blocked it from my memory. However, I have a Polaroid picture to prove it happened. Clearly, as you can see by the look on my face, I did not enjoy my first pony ride. Pay special attention to the way my fingers barely touch the saddle horn. Somehow, at age 20 I found myself back in the saddle (pun intended) during a study abroad in Spain. I did NOT want to go on this group excursion. But thinking back to all the times my mom encouraged me to try something new, I threw myself up onto that horse (literally) and ventured out on a horseback ride from hell. 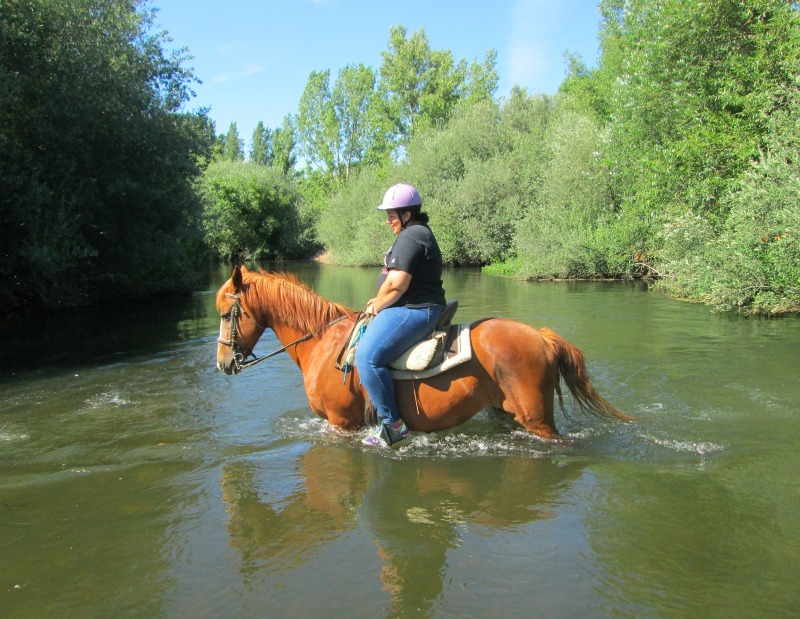 No one told me we were going to swim in a river on a horse. Never again! The 2+ hour ride had my adrenaline pumping — but not in a fun or exciting way. That horse took me thrashing about through trees, sand, and even a river. When the ride was finally over, I called my mom and told her she’d be proud of me. “I rode a horse and only cried twice,” I told her. Needless to say, if anyone ever asks me to go horseback riding again, be assured, it’s a no from me. Over the years, I think I’ve pretty much perfected my packing technique. I am now able to efficiently pack for any trip in under half an hour. That wasn’t always the case. Upon my return home from a month-long trip to England earlier this year. From a young age (especially during my middle school years) I thought I needed to have everything with me at all times. For example, even a walking tour of Chicago had to include a large shoulder bag filled with at least twenty items such as my bible, a full water bottle, an umbrella, a deck of playing cards, two pairs of sunglasses, an electronic Spanish dictionary, and of all things, my retainer in its original case. Needless to say, by the end of the day, my shoulders were bruised and I knew I had made a terrible, terrible decision. I still cannot believe I toted around this huge shoulder bag all around Chicago. What was I thinking?? After years of ignoring my mom’s suggestions to simplify, today I have finessed my packing list (in a Google doc, of course) and now only take the essentials when I prepare to travel. She was right. Less is more. 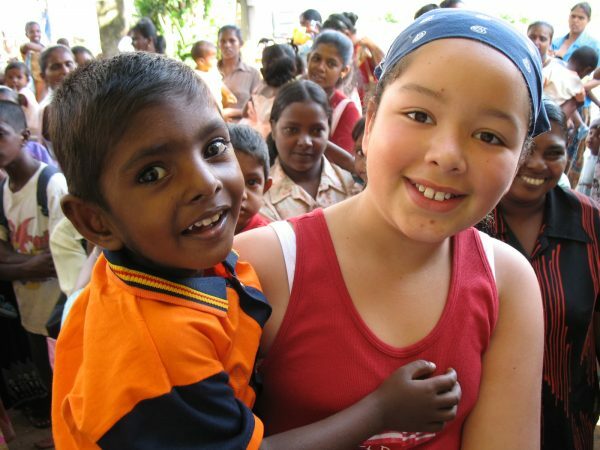 When I was in 6th grade, my mom and I went to Sri Lanka for a month-long mission trip. My mom had been praying for a group of single mothers there for several years and in the fall of 2004 she felt God leading her to go there. A few months after making a decision to visit this place on the other side of the globe, Sri Lanka was devastated by a tsunami that killed more than 31,000 people there. 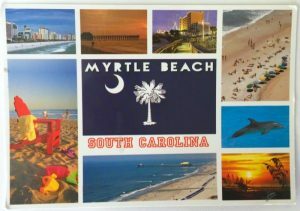 My mom spent the next year saving vacation time and doing fundraising for our trip that was set for December 2005. 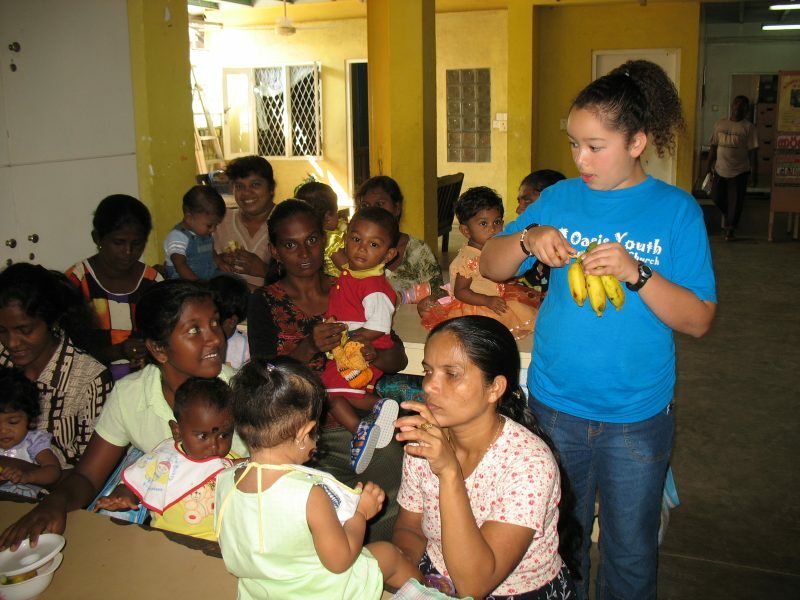 My mom and I helped distribute food to mothers and their babies while in Sri Lanka. We spent a month in tsunami camps giving medical aid, setting up a library in a school, helping hand out bananas at food clinics, and working with kids who had been homeless or abandoned. Upon returning to my middle school back in the states, it really hit me just how blessed we are to live here. I remember having a very difficult time during our lunch break when I watched kids in America dump half of the food on their trays in garbage cans because they didn’t like the way it tasted. I couldn’t help but think of the kids we’d served back in Sri Lanka and how they begged for another banana or a few grapes and I had to turn them away because we had no more food. That trip, during some of the most critical years of my life, changed my world view. It gave me perspective. It helped me really appreciate being born in the U.S. with all of the opportunities, freedoms, and resources we have here. It helped me understand world hunger, poverty, and disease. 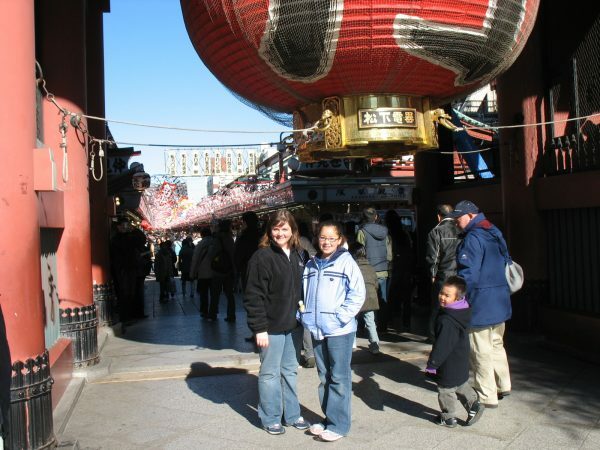 My mom and me exploring Asakusa, Japan. 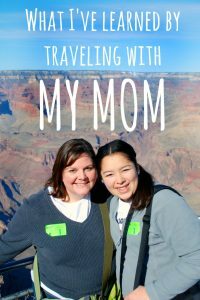 My mom and I have also traveled to Japan and Europe together and each place we’ve been, I’ve learned more and more about the different cultures, religions, foods, and customs of the people who live there. Those experiences continue to give me a better perspective of the world around me and help me recognize that often, my “problems” aren’t really problems at all when compared to those in real need. 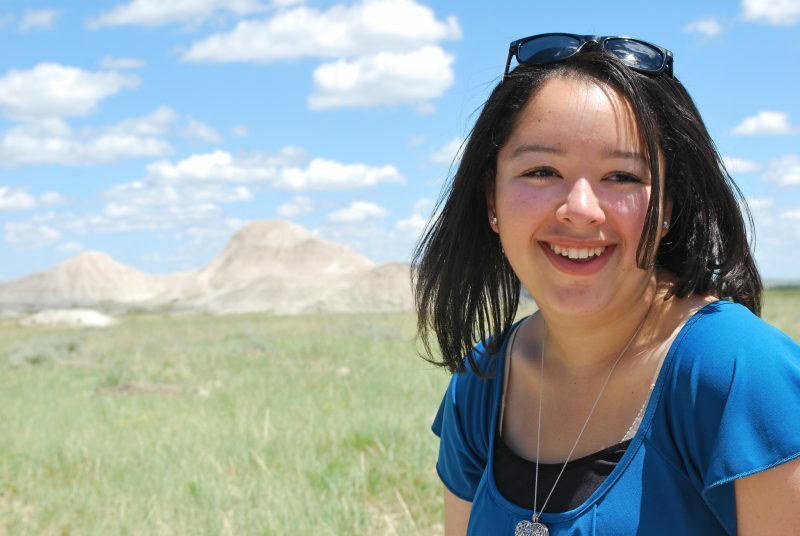 I’ve been fortunate to be able to go on several Christian mission trips on my own to places like Bolivia and the Pine Ridge reservation in South Dakota. 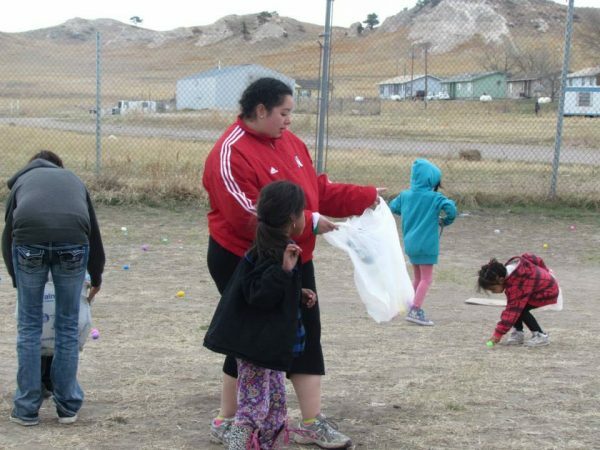 I spent my Spring Break in 2015 serving at the Pine Ridge Reservation in South Dakota where we provided activities like this Easter egg hunt for children there. Today, traveling for me isn’t always about seeing a new place or having a great vacation. Don’t get me wrong, I enjoy those things. But I also realize I have been incredibly blessed to grow up where I have and that I have the opportunity to bless others by serving them where they are. 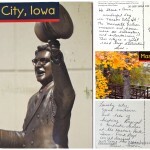 At my elementary school in Crete, Nebraska, each year fourth graders study Nebraska history. 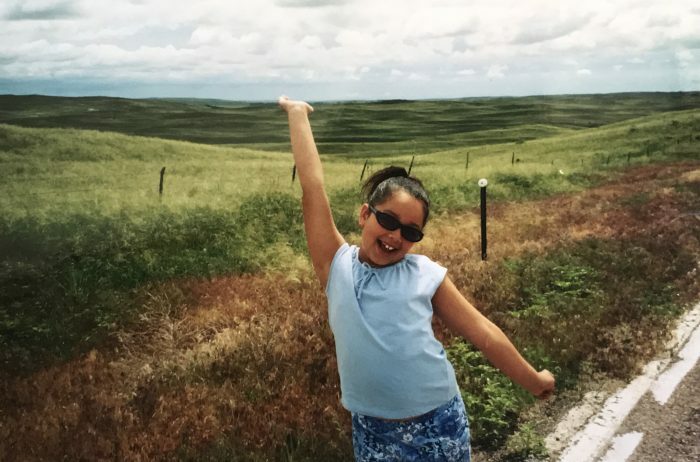 The summer before I started Mrs. Kalkwarf’s class, my mom thought we should go on a trek through Nebraska to prepare, with several educational stops along the way. We really had no idea whatsoever where we would go but we just headed west and made it up along the way. We took the highway instead of the Interstate, making stops at the Pony Express Museum in Gothenburg, Ole’s Big Game Bar and Grill in Paxton, and we even sipped a sarsaparilla in Ogallala at the Front Street Review. Then, we ventured north, and drove through seemingly endless miles of rolling Sandhillls. 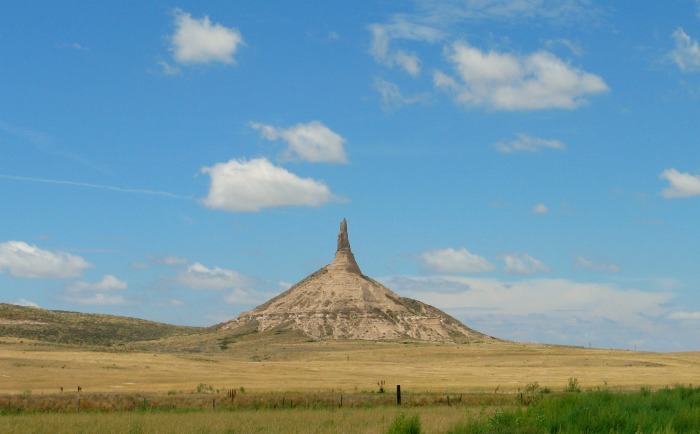 Chimney Rock is a geologic rock formation in western Nebraska that once helped guide pioneers on the Oregon Trail. It was a trip I’ll never forget. 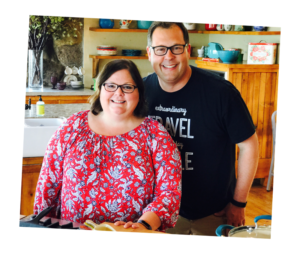 We had such a good time exploring our home state, we decided to make our Nebraska road trip an annual event. We’ve done something together in Nebraska almost every year since then. I loved exploring places in Western Nebraska with my mom, including Toadstool Geologic Park. We’ve stayed at the Olde Main Street Inn in Chadron, climbed Scottsbluff National Monument, learned about the prehistoric animals at Ashfall Fossil Beds, watched the trains at Bailey Yards in North Platte, and hiked at Toadstool Geologic Park. We’ve made more than a dozen trips around Nebraska and there is still so much more we haven’t seen. While I have now visited more than half of the states in the U.S., I have such an appreciation for my home state and can truly say there is no place like Nebraska. From a young age, my mom always taught me about the importance of the arts. I remember her bringing me a book about American artist Mary Cassatt after she’d seen some of her work on display at an art museum when she was on a business trip in Washington, DC. I still have that book on my bookshelf. From the book “Mary Cassatt,” by Mike Venezia. We read the book often at bedtime and several years later, mom took me to a museum where I got to see an original painting by Mary Cassatt. 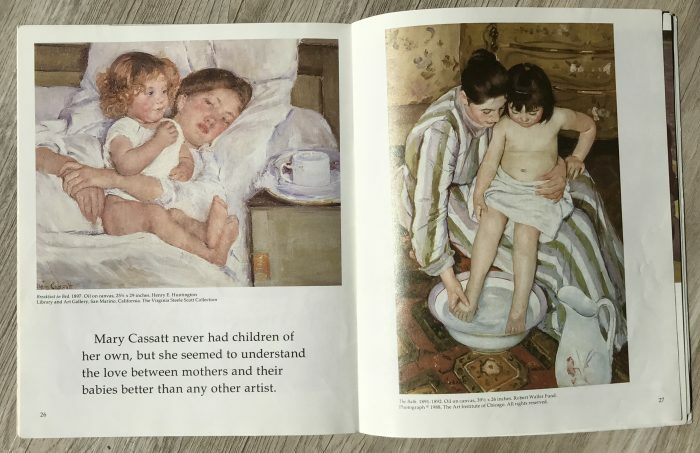 Cassatt has always been one of my favorite artists because her artwork, which often features mothers and daughters, reminds me of my mom and myself. For that reason, I was thrilled when one of my final projects as a student at the University of Nebraska at Omaha involved presenting a piece of artwork at the Joslyn Art Museum in Omaha. 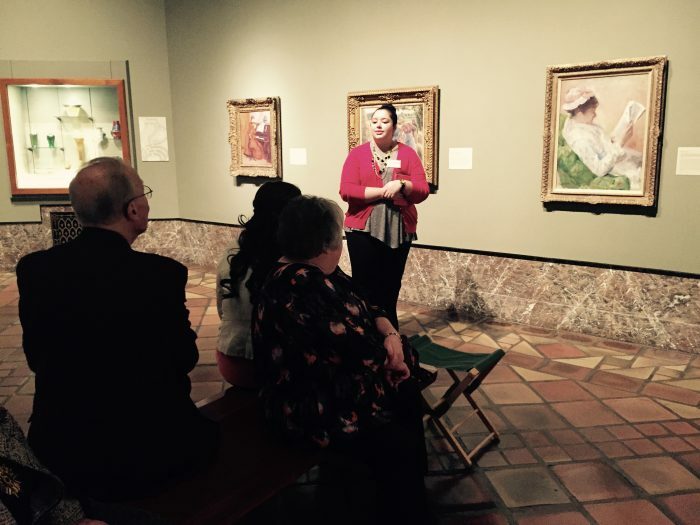 One of the highlights of my undergraduate studies at the University of Nebraska at Omaha was giving a talk in Spanish about a piece of art by Mary Cassatt. Naturally, I chose the one Mary Cassatt painting at the museum to feature in my presentation. Speaking about the artist that had ignited my interest in artwork was one of the highlights of my undergraduate studies. 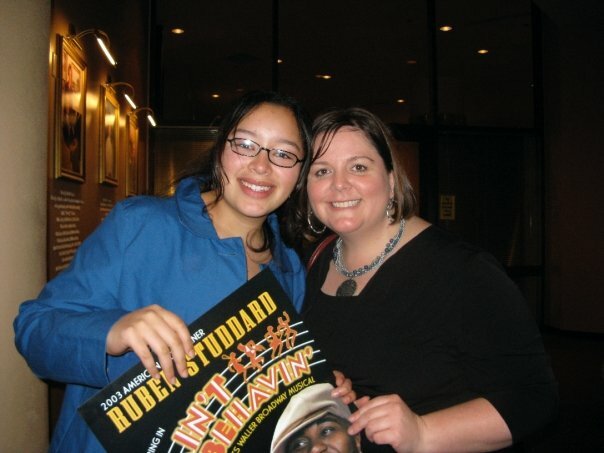 Even though we didn’t have a lot of money when I was younger, my mom always found a way to take me to live concerts, plays, or musicals, especially when we traveled. Ain’t Misbehavin’ was just one of many performances I’ve seen with my mom at the Lied Center for Performing Arts in Lincoln, Neb. When I was five, she saved up her money and told me we weren’t going to do Christmas presents that year, but instead, we were taking a trip to New York City. That year, I saw my first Broadway musical, Beauty and the Beast. I’ve never forgotten that experience, because it ignited my interest in fine arts. 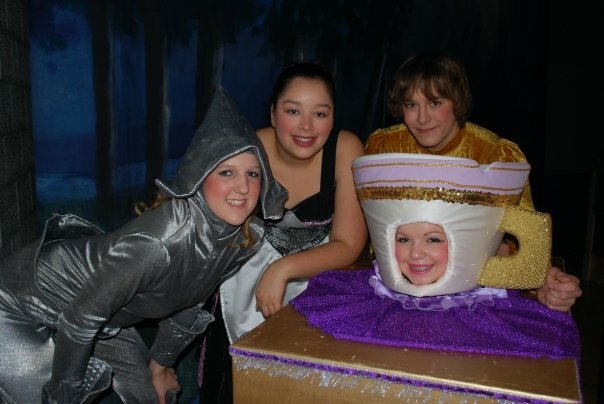 I even played the role of dinner napkin/townsperson in my high school’s production of the Disney classic. After seeing Beauty and the Beast on Broadway as a 5-year-old, I was so excited to be cast in the musical my first year of high school. The summer after my sophomore year of high school, my mom reluctantly agreed to take two friends and me with her on a business trip to Kansas City. While my mom worked, my friends and I were allowed to explore some of Kansas City. My mom has spent a lot of time in large cities while on business trips and knows they can sometimes be dangerous. 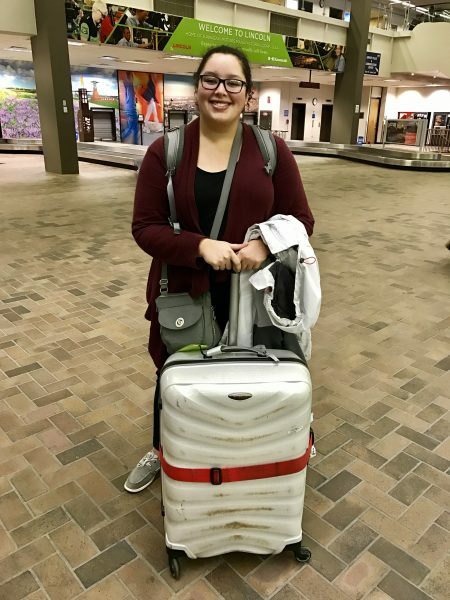 She gave us very specific instructions on where we could go and what we could do. 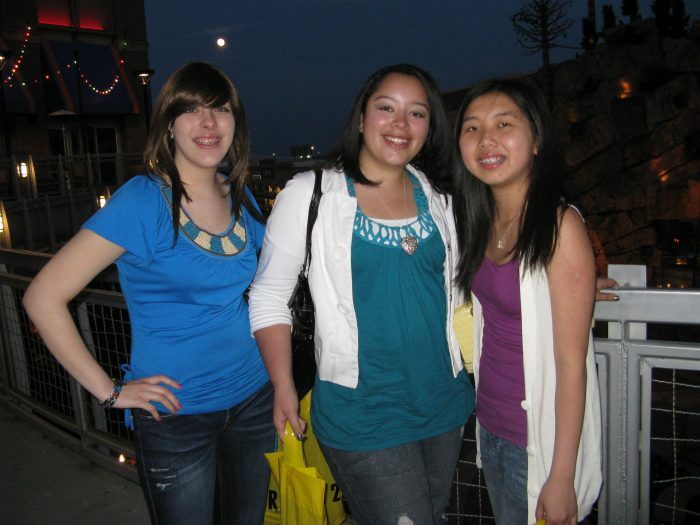 My friends, Dulce and Amy, and I had a great time exploring Kansas City while my mom was working there. During her lecture on safety precautions, she emphasized that we should always walk with purpose. She told us to keep our heads held high, to not be scared, and to make sure we demonstrated confidence. While these were great tips to keep us safe and discourage anyone from messing with us, I’ve also come to realize that walking with purpose has an even greater meaning. As I have gotten older, I have always kept my mom’s words about walking with purpose in mind. I thought those words when I decided what to study in college and when I felt called to go on a mission trip to Bolivia. 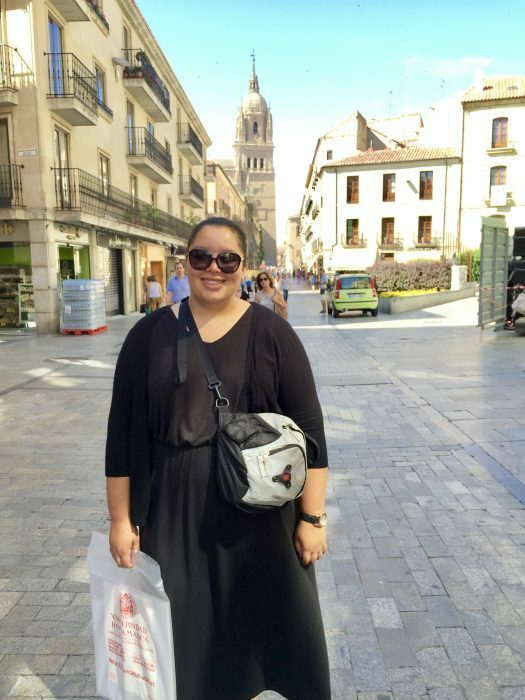 I thought about her instructions when I was walking the streets of Salamanca, Spain, during a study abroad and as I made plans to travel solo to England earlier this year. 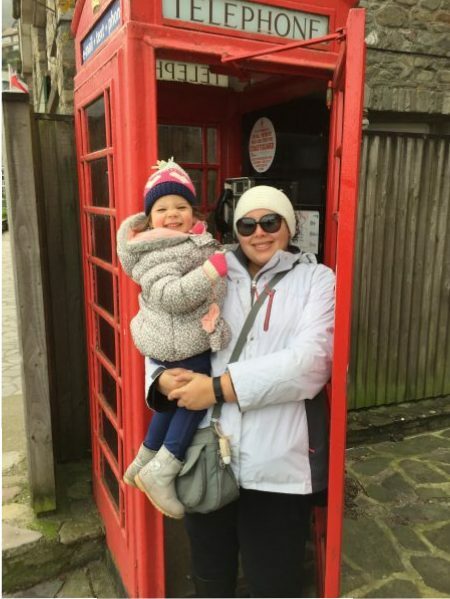 My friend, Sienna, and me during my trip to England in January 2017. Traveling with my mom has taught me so much and I don’t think I’ll ever forget the lessons I learned along the way. Our journeys showed me how find my purpose, hold my head high, and be confident in who am in God and in this world. And those are all things I can take with me wherever I go. What a wonderful tribute to your Mom on Mother’s Day! I love that travel has blessed you and your family in so many ways. Travel on, my travel friends. Thanks, so much, Sara. I was so touched by her words. We are truly blessed. I loved this article! You and your mom have had great adventures together. Thanks for sharing! That is the neatest tribute to a great mother that I have ever read, what a blessing to see how God has worked and allowed you two to be so close and experience so much! What a wonderful tribute to your mother. I remember praying for you both when you were in Sri Lanka. I remember thinking by the time you were like 7 that you had traveled more than I had my entire life. Glad you’ve continued to be on-the-go, even as an adult! Excellent blog! Meghan, this article is great! What a tribute to your mom. And I love your sense of humor. 🙂 You should continue to blog. Thanks so much, Dee! Happy Mother’s Day to you as well!